Herbs are being marketed as a substitute for conventional drugs, but they do not work like conventional drugs. 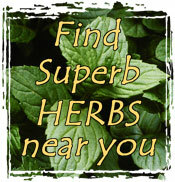 As more and more people are turning to herbs as alternative medicine, real information is vital. Television commercials are not a reliable source of information. Marketers are in the business of selling, not educating, and educating yourself about how herbs work is essential. Mankind can look back through thousands of years to herbal medicines as a safe, readily available, and gentle means of healing. Herbs have been used since even before the time of recorded history for every facet of life-health, healing, energy, creativity, work, love, birth, death, regeneration, meditation, survival and more. Let's not allow marketing to change the role of herbs as an adjunct to a healthy lifestyle to one of a quick fix for a bad one. It is important to realize that people who choose to use herbs for healing will need to take a measure of responsibility for their own health. Herbs in their whole form are not drugs. Do not expect the activity or response that you would get from a pill. Conventional drugs treat the symptoms of a problem. Herbal healing is vastly different from drug-based medicine. It will seem to take longer to work. But this only shows how herbs actually do work. They act at a deeper level of the body processes in controlling and reversing the cause of the problem. This results in a more permanent effect than drug treatment. It will take three to six days to feel the improvement from herbal healing. Long-standing degenerative conditions will take even longer. After all, it did not take a day to develop the problem; it will not take a day to cure it. One month of healing for every year of the problem is a good rule of thumb. Sometimes there is a "healing crises" in an herbal treatment program; the person seems to get worse before getting better. The body frequently begins to eliminate toxic wastes quite heavily during the first stages of a system cleansing therapy. This is particularly true in the traditional three or four day fast that many people use to begin a serious healing program. Strength and relief return shortly after this is over. Herbs are concentrated foods, whole essences, with the ability to address both symptoms and causes of a problem. As nourishment, herbs can offer the body nutrients it does not always receive, either from poor diet or environmental deficiencies in the soil and air. As medicine, herbs act to balance body functions so that the body can heal and regulate itself. Herbs pave the way for the body to do its work by breaking up toxins, cleansing, lubricating, toning, and supporting body functions. Herbs are powerful agents that are cumulative and should be used with care. When correctly used, they promote the elimination of waste matter and toxins from the system by simple, natural means. They support nature in the fight against disease. Herbs work better in combination. Since all body parts and most disease symptoms are interrelated, it is wise to have herbs that affect each part of the problem. A combination also allows inclusion of herbs that can work at different stages of need. Several herbs with similar properties can increase the effectiveness through a wider range of activity and can reinforce the potency of herbs that may have been picked too early or too late, or were grown in adverse conditions. With these comments on growth and harvest of herbs in mind, note well that they present a very good argument to support the idea of growing your own herbs in the best possible conditions and learning how to harvest and use them. It is worth the time and effort it takes to grow the herbs you will need.